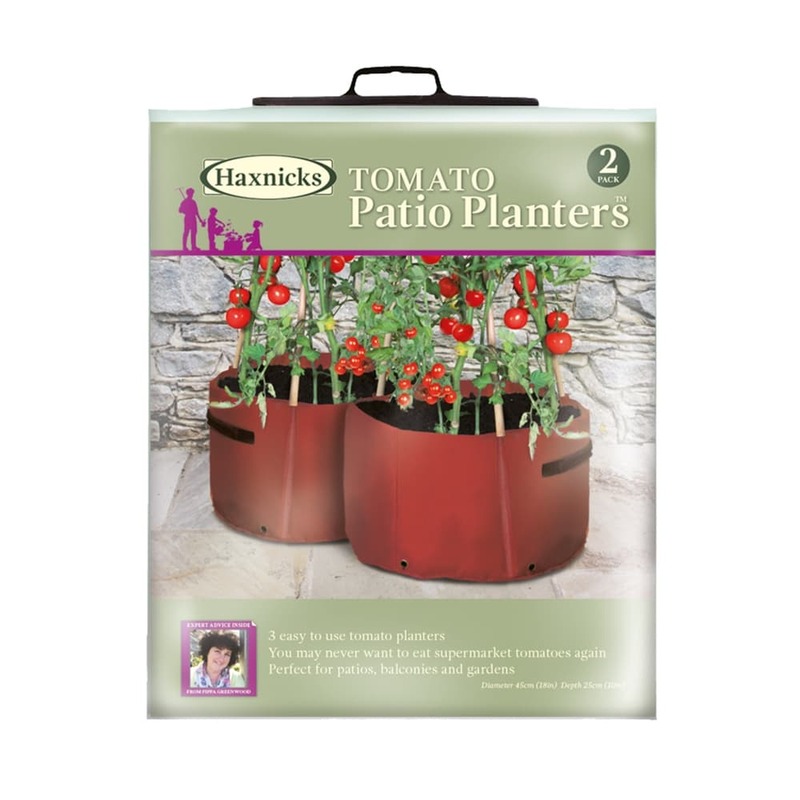 Tomato plants can grow tall and quite bushy, so the Haxnicks Tomato Patio Planter is specifically designed with this in mind, with pockets for 3 canes on each pot. Depth: 45cm (1ft6") Height: 25cm (8"). 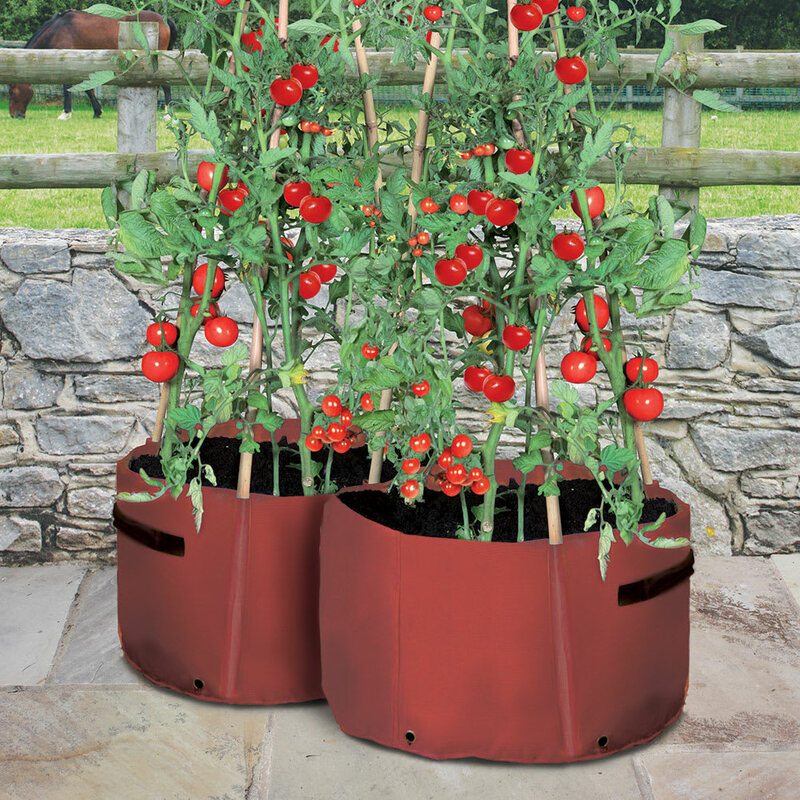 Each tomato planter has 3 cane pockets to keep your supports firmly in place without disturbing the soil. Ideal for small gardens and patios, the Tomato Patio Planter is reusable, can be flat packed, and has tough reinforced handles and drainage holes at the base. It also comes with a helpful growing guide. You may never want to eat supermarket toms again! Place a layer of gravel or other suitable material into the bottom of the planter to help drainage. 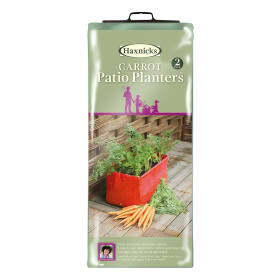 Fill with good quality multi purpose compost approximately 4cm (1½in) height from the top of the planters. Carefully water in after planting without soaking the compost. Side shoots should be removed by pinching them out with the fingers. If allowed to grow they will produce a mass of foliage but few tomatoes. Lower leaves should be removed if they show signs of yellowing to avoid the risk of infection. 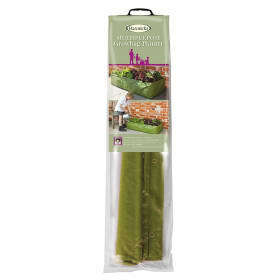 Rub off aphids with your fingers, or spray them off with water or insecticidal soap (potassium-salt soap is available at most garden centres), or diluted washing up liquid – about one teaspoon to a couple of litres of water. Feed regularly from mid-summer with a good liquid feed. Pick as soon as the fruits are ripe (colour and size will identify this) for the best flavour – eat as soon as possible. This also encourages the production of more fruit.